Aspect/Ratio, in conjunction with Anastasia Tinari Projects, is pleased to present RHAPSODY REFRACTED, the first Chicago solo exhibition for artist Kambui Olujimi. RHAPSODY REFRACTED is a new body of work by Brooklyn native Kambui Olujimi. 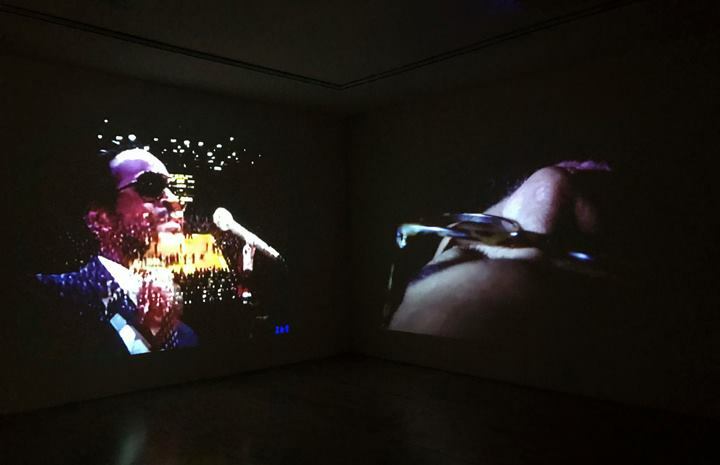 The exhibition, which includes sculpture, drawing, and a video installation, explores the perpetual interruption and the subsequent refraction of black rhapsody. The exhibition focuses on the final moments of the 89th Academy Awards in which the presenters failed to announce the movie Moonlight as the winner for the Best Picture Oscar. While the mistake was eventually reconciled on stage and broadcast on international television, the moment of recognition of the film and filmmaker’s historic achievements were marred irrevocably by this unprecedented blunder. This body of work is a proposition of time reconstituted–reimagined and reclaimed from the refracted fragments of stifled elation. Kambui Olujimi is a New York based artist and is an Assistant Professor of Sculpture and New Genre at Columbia University. He has taught at The Cooper Union, Bard College and The International Center for Photography Graduate Program. His work reflects on mythology, historic narrative, media cultures amongst many themes and is manifested in installation, photography, performance, tapestry, video, large sculpture, works on paper and painting. Olujimi received his MFA from Columbia University and his work has been shown internationally. Recent exhibitions include: Mass MoCA, PS1 MoMA, Lincoln Center for the Performing Arts and Madison Museum of Contemporary Art. Institutional collections include: Brooklyn Museum of Art, The Nasher Museum and The Cleveland Art Museum.